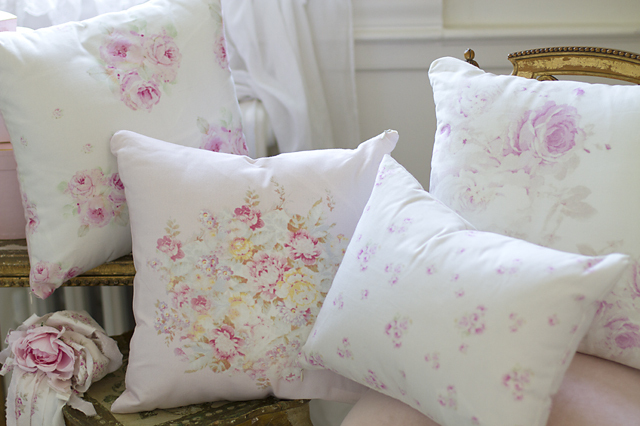 Jo-Anne Coletti's line of cottage style pillows made from her line of rose paintings. 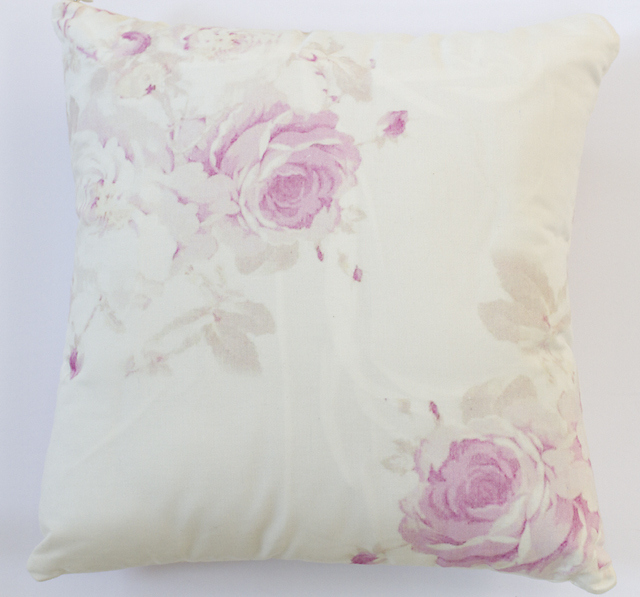 This is a lovely throw pillow with large cabbage roses on a soft cream background. Both sides have this pretty design that is slightly different on the backside. 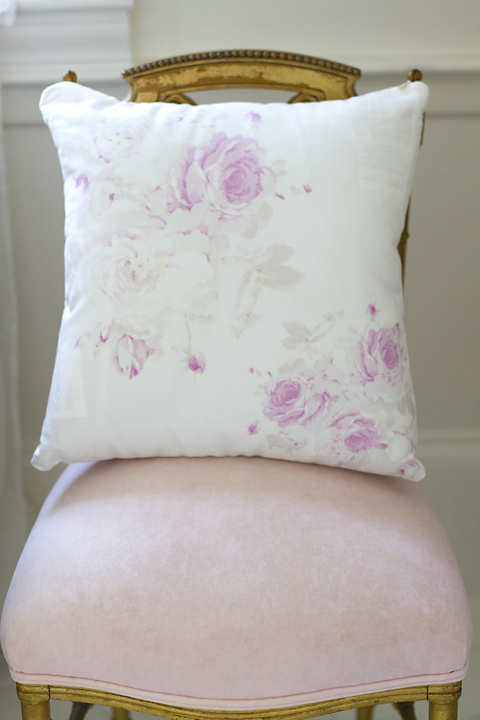 This was inspired by a 1940s barkcloth fabric and reproduced by Jo-Anne Coletti.